Taking care of my skin is important to me since I want to look and feel good about my age. While I don’t have any issues with getting older, I do want to age gracefully. I think of celebrities like Salma Hayek, Kate Winslet, Halle Berry, and Angelina Jolie when I think of aging gracefully. Some of the surefire ways to obtain this are to work out regularly or at least stay active, even it’s just going for long, brisk walks; drink plenty of water, avoid unhealthy beverages much as you can (it’s taxing on the skin), get enough sleep, and healthy eating. It’s been said and said for years, but it truly helps! Another good way to ensure the quality of your skin is to adhere to a strict skincare regimen. 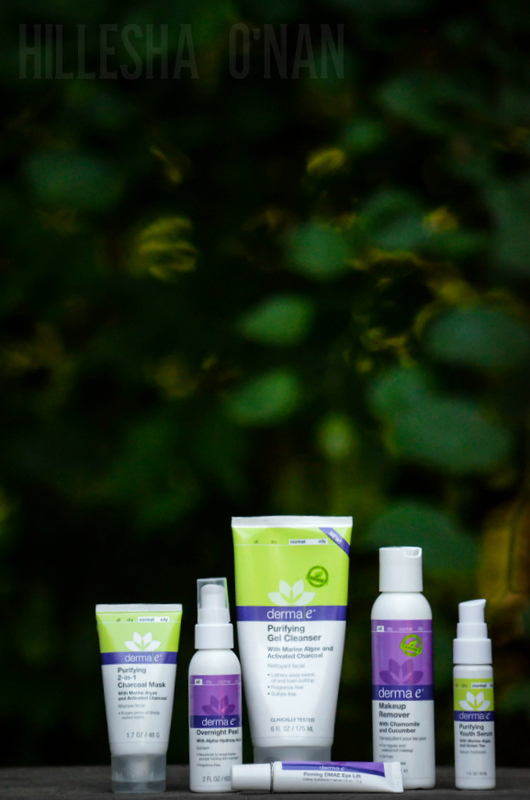 One of all my all-time favorite skincare brands is Derma E. This luxuriously affordable skincare line is wondrously crafted with the finest organic ingredients! That’s why I was thrilled when Derma E’s very own National Educator, Jaime Cane; curated a special box specifically for me! Pro Tip: To remove long-wear makeup more easily, hold the pad over the eye area for 15-30 seconds before wiping away! Derma E’s Makeup Remover can also be used as a pre-cleanse, full face makeup remover prior to washing your face with your facial cleanser. Pro Tip: For sensitive skin, mix in a pump of cleanser to help buffer the strength of the professional level exfoliant. For dryer skin, apply a beauty oil first to nourish the skin. Their Microdermabrasion Scrub can also be used on rough knees, elbows, ankles, and feet to help smooth skin. My Thoughts: The Microdermabrasion Scrub has always been one of my all-time favorite Derma E products! It’s a simple, effective, and inexpensive way to quickly improve the appearance of the skin. It’s practically a facial in a jar, but at the fraction of the price! It’s truly the best facial scrub I have ever used. This scrub has a thick, white, and grainy texture that’s reminiscent of toothpaste. The granules are sand-like and not abrasive at all with sensitive skin like mine. The light citrus scent is pleasant and uplifting. It has an exclusive crystal blend that includes Dead Sea Salt and Volcanic Sand, which is deeply rich in Silica, to buff away dull surface cells, help diminish the appearance of fine lines, wrinkles, and acne scars, and absorb excess skin oils. It’s made with natural astringents (Lime and Lemon Peel). It also boasts antioxidants, such as Grapeseed and Vitamin E, to help redefine the skin. This results in touchable, soft, smooth, and younger looking skin! Pro Tip: This is the perfect makeup prep the night before a special event or glam makeup application; use the Overnight Peel for dewy, radiant, and naturally glowing skin. Pro Tip: The Purifying Gel Cleanser is the perfect cleanser to use with a cleansing tool like a Clarisonic or oscillating brush. This cleanser is also a great post-workout cleanser, especially since it helps remove the bacteria, toxins, and impurities you’ve just sweat out. The tube makes it easy to throw in a gym bag. Pro Tip: To help reduce puffiness, apply Firming DMAE Eye Lift in one direction by moving form the inner corner to the outer corner on both the upper and lower eyelids. My Thoughts: An eye cream, such as Firming DMAE Eye Lift, is always part of my skin care arsenal. This eye creme has been proven to reduce wrinkle volume, area, and depth. It also firms, tones, deeply hydrates, and diminishes the appearance of crow’s feet. I can’t comment on the effectiveness of its anti-aging properties since I’m not experiencing that yet, but I can attest that I have been looking well-rested lately! Pro Tip: This silky, emollient serum makes a great primer for liquid or powder foundations. ☑ Exfoliate! Your skin will absorb and perform better. ☑ Drink lots of water. Dry skin can accentuate fine lines and wrinkles. ☑ Love your greens! Get healthy skin from the inside out. ☑ Get 7-8 hours of sleep. Lack of sleep can lead to breakouts, puffiness, and premature signs of aging. What is your anti-aging beauty product must have, or what’s your favorite skin tip? This post is in partnership with Derma E.
I need to take good care of my skin too! I am getting more and more wrinkles as I am getting older and I need to make sure that I am doing my best not to get as many! I will try out these products for sure! These products sound great. I really want to try the microdermabrasion scrub. Sounds like a winner to me! I have not heard of this skin care line before!! This sounds like a high quality product, I have to say age has not been kind to my skin. I love Derma E products. I haven’t tried the charcoal mask, though. It sounds like a great products, so I will add it to my list. I have not tried any products yet from Derma-E. Thank you for the review. It does look like a great product line. I would love to try the Gel Cleanser first. I’ve heard of their brand and want to try it all! I’ve relied on just plain old water too long in my 32 years of life! Thanks for the awesome info, now I have an idea of where to start! I could really use the Eye Lift — that’s the biggest thing about aging that bothers me: my eyes. They really show my age! Seriously if I could just have Jennifer Aniston’s skin/body/hair, life would be complete! I love Derma E products! I have a bunch of their products. The ones I really love are the ones that I have for my daughters eczema. That stuff really helps out. I will have to check these products out. I’m always looking for some new and good skin care products! Thanks! I have been looking for a good scrub. My face really needs a deep clean. 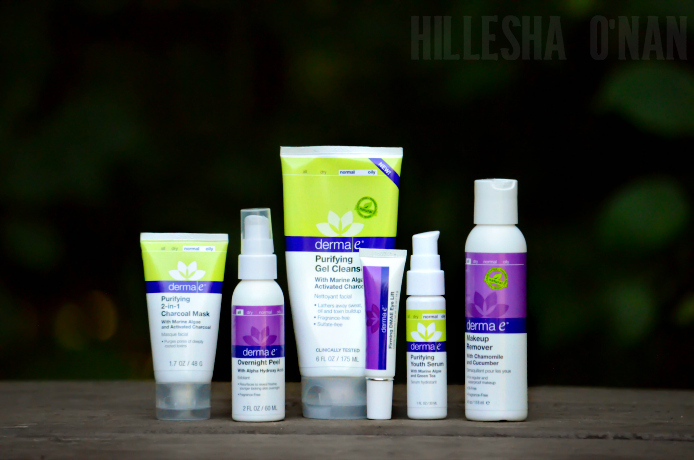 I have heard some pretty good things about the Derma E brand. I have not tried them myself but I am willing to try anything once! This looks like a great skincare line. I would love to try the Microdermabrasion Scrub. I am always looking for a great makeup remover that does the job, but it’s gentle, too. These look interesting! Will check them out! I would love to try the peel mask. I use a homemade sugar scrub on my face nightly. I have been looking for a good skincare product to help keep my skin in good shape. I’m at that age if I don’t start taking care of my skin, I will start paying for it. I have never heard of Derma E products. I’ve been looking for a good mask! Thank you so much for sharing this great line! Derma-E sounds like great stuff. I love the idea of being able to go green and still get quality products. I m a terrible skin care person. I know I should use lots of products, but I just can’t see spending money on things like this. I may look into these products though because I DO need something. Those sounds like a great skin product line. I haven’t seen them around here though. My mom has been looking for a new brand to try since she is always struggling with find a right product. Will tell her to check this out. I am going to show my wife these. Not sure if she needs them now, but I’m sure she knows someone who does!